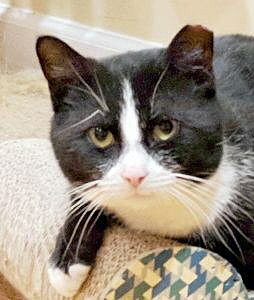 Oreo is a 2-year-old boy from Montclair rescued from a difficult situation. He had several ear infection issues, but after a year of loving foster care has a clean bill of health and eager to find his forever home. Oreo is so playful, and you will truly enjoy his outgoing purrsonality. He’s fully vetted and FIV/FeLV negative. Contact CPAW NJ at cpawnj@gmail.com for more information on how to meet Oreo.